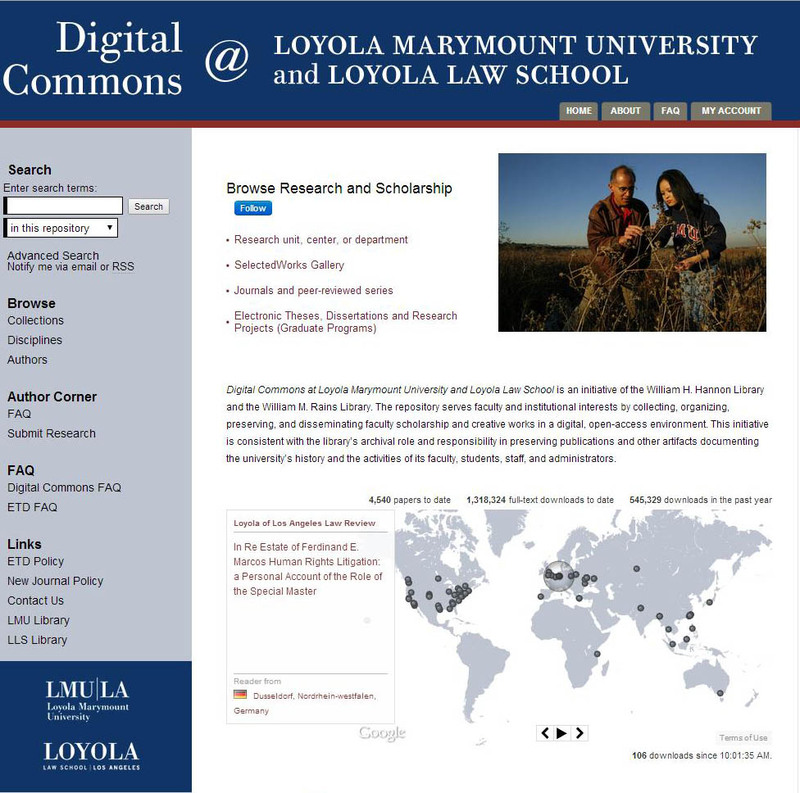 Digital Commons at Loyola Marymount University and Loyola Law School is an initiative of the William H. Hannon Library and the William M. Rains Library. The repository serves faculty and institutional interests by collecting, organizing, preserving, and disseminating faculty scholarship and creative works in a digital, open-access environment. This initiative is consistent with the library’s archival role and responsibility in preserving publications and other artifacts documenting the university’s history and the activities of its faculty, students, staff, and administrators. In addition to archiving LMU's scholarly output, the LMU community can use the repository to support publication of open access journals, host events, image galleries and other content. Contact the Digital Program Librarian, Shilpa Rele at shilpa.rele@lmu.edu for more information.